Besides being the name of my multi media company, Your Own Understanding is a mind state for those in the world who wish to truly pursue happiness, by any means necessary in a progressive, Positive, Productive way. Two of the many sayings that we use hear at Your Own Understanding multi media started by myself personally are Do Y.O.U be happy and Every Thing Happens For A Reason, in my experiences and opinion as a human being I feel these two sayings help you to pursue happiness by any means necessary in a progressive, positive, productive way. I believe when you master and understand these sayings your life will go down a path that for most will an enjoyable fulfilling journey. Notice I say most, the reason being is if I weren’t speaking these words half of you would never hear them. If I weren’t using visual aid three quarters of you would never see nor hear this message and if I carry on too long 9/10 of you would not even finish listening to these words. So I’m going to tell you in the next couple of breathes how to reach your own understanding and master the sayings of do you be happy, and every thing happens for a reason. How can it be done? Self-education, Support and, unconditional love, are the 3 keys. Now the choice is yours either self educate and start the pursuit of your own understanding or fall into one of the percentiles above that wont understand me. Much love and good vibes to all espeacially the lovers life is Y.O.U Your Own Understanding. 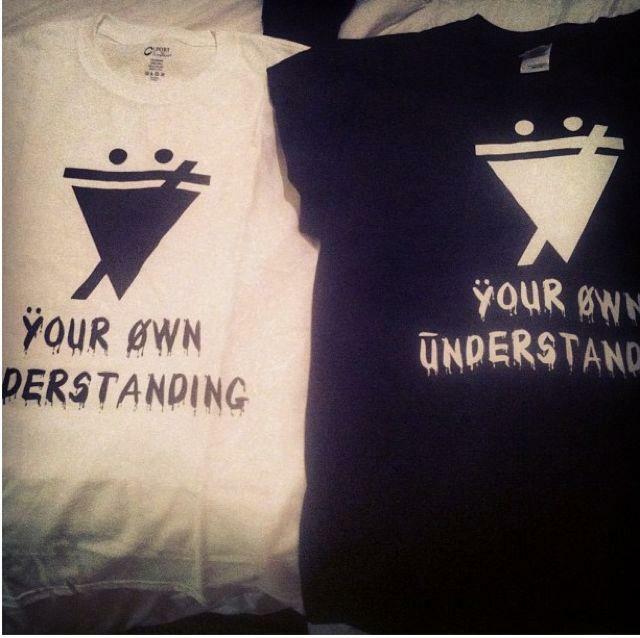 Your Own Understanding awaits Y.O.U take the first step at http://www.YourOwnUnderstanding.bigcartel.com Much LUve and good vibes to all. Much love and good vibes to my little bro he told me this when I was going through a hard time. I love Y.O.U SAM. It’s party, a Y.O.U party take a look at a King RoD and The Y.O.U crew maybe come join next time and find Your Own Understanding. Shout out to Sir Dre Gos behind the cam thank you for wathing this thank you for all the Luve you have given me. P.s Stop By YourOwnUnderstanding.BigCartel.com get a beanie, get a hoodie, a tee Show the world you love Your Own Understanding.